HVAC apprentices learn needed skills through classroom work combined with on-site work supervised by industry professionals. 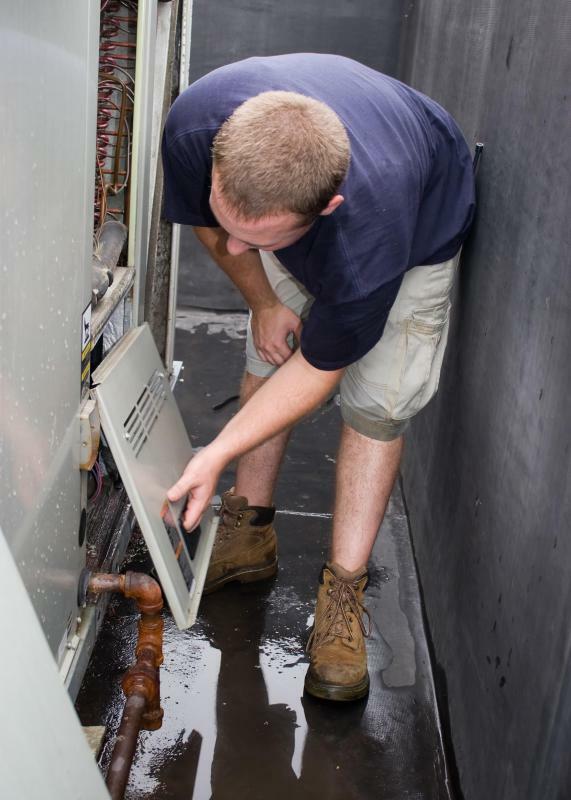 Apprentices learn to install and repair HVAC systems from an experienced contractor. A heating, ventilation and air conditioning (HVAC) apprentice is someone who is learning the work of an HVAC contractor. HVAC contracting is a skilled trade, so people who want to become contractors typically must complete either an educational program in HVAC work or an HVAC apprenticeship. During an apprenticeship, the HVAC apprentice typically will both attend classroom courses and work under the supervision of an experienced HVAC technician. As is true in many apprenticeships, the new apprentice will begin by performing basic tasks and observing his or her supervising technician. Eventually, however, the HVAC apprentice will begin to perform more involved HVAC procedures. The process for becoming an HVAC technician can vary considerably by jurisdiction. In some areas, a technician must be licensed, but other areas do not impose licensing requirements, although local unions might develop qualification standards for their members. Both unions and licensing boards typically require applicants to have real-world experience doing HVAC work, and an apprenticeship is one way of accomplishing this. Each union or licensing body will set its own standards for the length of the apprenticeship as well as the skills that an apprentice is expected to learn. If an HVAC worker wants to become licensed to work in a particular area, he or she typically will be expected to pass an examination as well as show proof of his or her time as an HVAC apprentice. HVAC apprenticeships might be organized by local union affiliates. An HVAC apprentice often works for a contracting firm while also taking classes. Classes are often offered through local community colleges or vocational schools and might meet once or twice a week. During classes, the HVAC apprentice is expected to learn about how to read blueprints, how heating and cooling systems are designed and general safety rules. In many cases, part of HVAC classroom training involves education in working with refrigerants, because there often are laws and regulations regarding its use and disposal with which an HVAC contractor is required to comply. In addition to classroom training, the HVAC apprentice works alongside more experienced HVAC technicians. 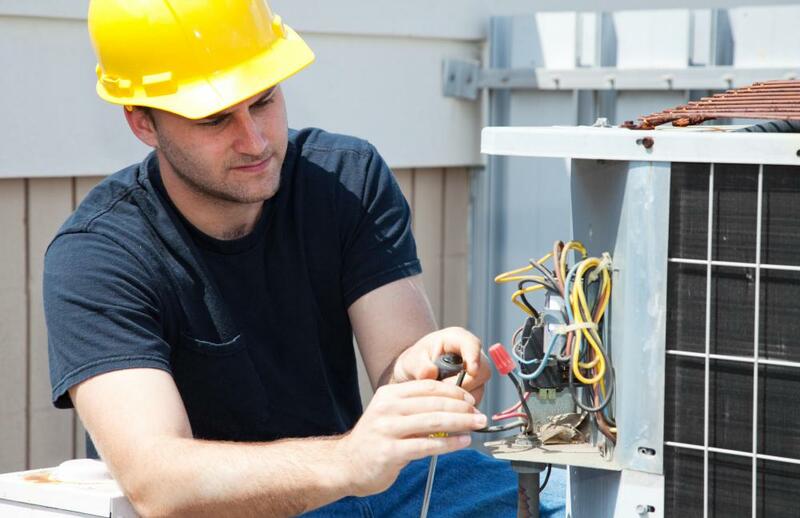 In some cases, a person might begin working for an HVAC firm before entering a formal apprentice program, but in either case, an entry-level worker or apprentice typically will start by assisting and observing the work of his or her senior technicians. Eventually, the apprentice will begin performing tasks on his or her own, under the supervision of the senior technician. This supervision continues until the end of the apprenticeship program, after which the apprentice might be able to gain licensing or union recognition as an HVAC technician and begin working independently.